The multitude of IT systems that many agencies manage today started with good intentions. Someone saw a series of needs, and the answer to each came in the form of an individual system: one to manage human resources, another to maintain citizen engagement, yet another to process invoices and so on. Individually, those systems serve a specific purpose, but collectively they create silos and one-off databases that typically aren’t interoperable and cannot easily communicate with one another. The result: 76 percent of organizations have trouble finding the right information in a timely manner, according to a report by the nonprofit Association for Information and Image Management. 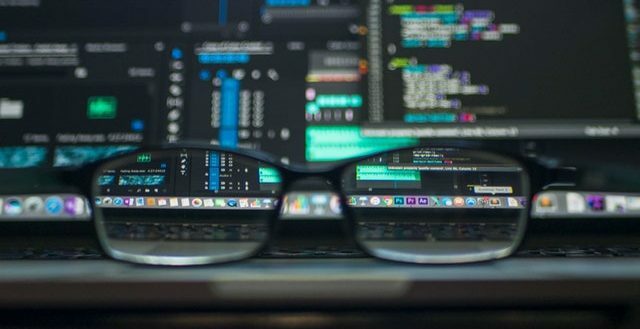 At a time when agencies need to make more informed decisions with data, connecting IT resources to support those efforts is proving difficult. So what options exist to modernize information management in this digital age? 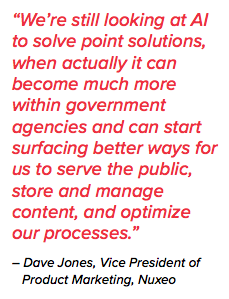 In an interview with GovLoop, Dave Jones, Vice President of Product Marketing at Nuxeo, explained how agencies can tap into the power of artificial intelligence (AI) and become better stewards of their data. Nuxeo specializes in making enterprise content services accessible, flexible, scalable and AI-enabled. Jones noted that although AI is being used in numerous ways, these current applications don’t make the best use of the technology. Where agencies should focus their attention is that middle ground between the mundane and more advanced AI use cases. Take the earlier example of the land use application. Rather than merely identifying the document as a land use application, agencies can use AI tools to aggregate detailed identifiers like what ZIP code it’s planned for, the size of the lot, or the scale of the project. “The more tagging you can do when content is ingested, the better search capability you have at the end of the day,” Jones said. 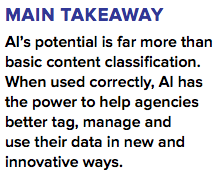 AI can also be used to automatically identify duplicate or trivial data, or content that’s exceeded the retention period that you need to keep it for. At Nuxeo, experts are using what’s called domain knowledge to train AI models to identify more granular details and apply a deeper level of analysis to content management. 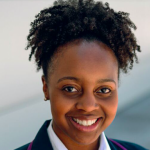 “People still look at AI to solve point solutions, when actually it can become much more within government agencies and can start surfacing better ways for us to serve the public, store and manage content, and optimize our processes,” Jones said.